I love that the city of Boston goes crazy for the Boston Marathon. 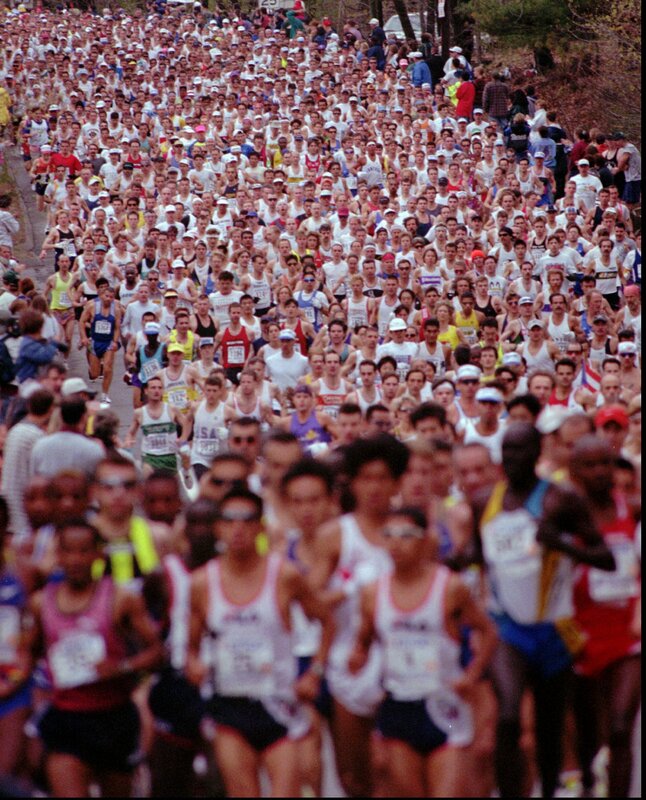 I love that 500,000+ spectators come out – on their day off (Patriots Day, the 3rd Monday of April, is a state holiday in Massachusetts) to cheer, support and generally go crazy for 25,000 runners. 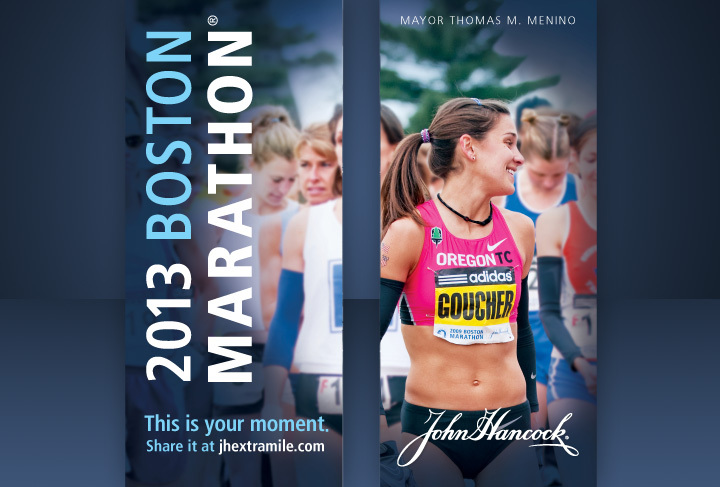 I love that the city starts the marathon excitement a month+ early by putting up marathon banners all over the city. However, I know there are 25,000 other runners and the race and the day and the weekend means just as much to each of them. 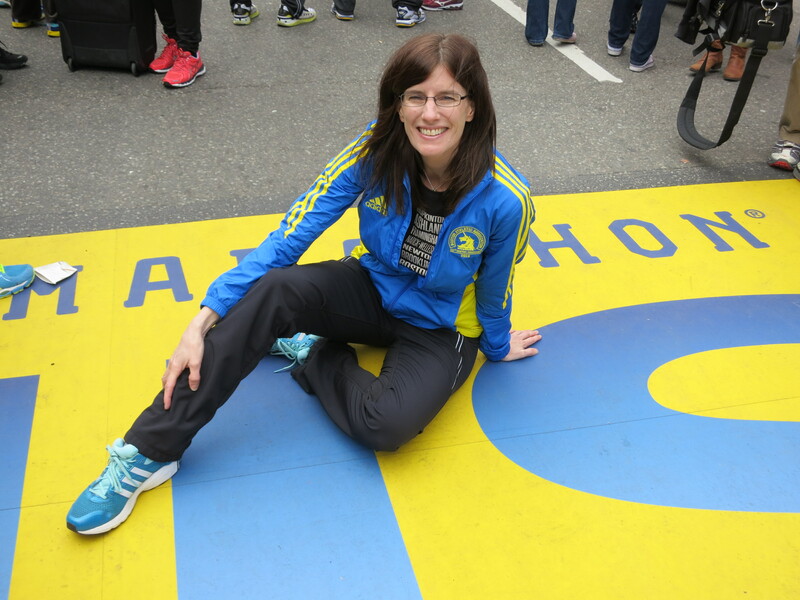 It’s so fun to talk to others running Boston, or to read their blogs, and to hear about their journey to Boston, their goals for the race, and their excitement for the Boston Marathon. Although we all have different goals and our journeys to get here were different, the two things that virtually everyone running Boston has in common is that we worked our butts off to get to the starting line and we are all crazy excited about running it. If these banners aren’t motivation to do some ab work, I don’t know what is. 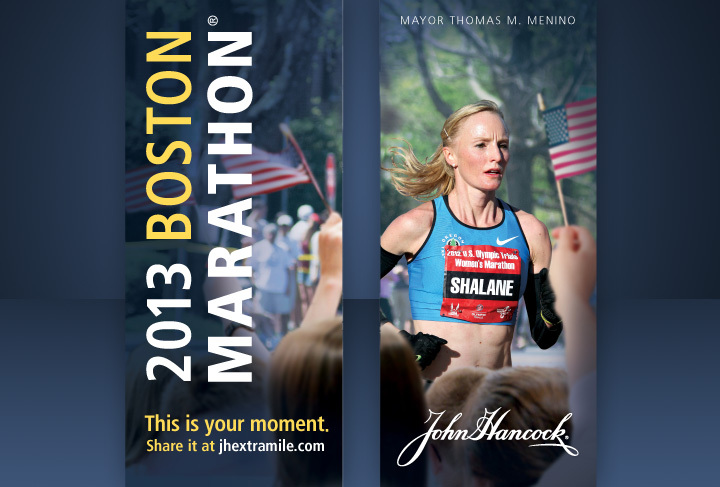 The other Boston excitement is that bib numbers and wave/corral placement were announced. I’m lucky number 17747. Woot! Boston places numbers strictly on qualifying times. Which means that all 17746 runners in front of me are faster. 🙂 My friend Mike is runner #374. Which would be an AMAZING to be that fast for BOSTON – but his race experience will be so much different than mine. He’ll be up near the front (which would be crazy cool) and focused on running crazy fast. But how cool is it going to be for me to look out ahead of me at the starting line (I’m in the last corral of wave 2, so I’ll have a ton of people in front of me) and know that I am part of this talented, inspiring group of people. And to not worry about weaving my way through the masses, but instead to focus on FUN. Photo borrowed from Boston images on the web. I can’t wait. This is MY moment. This is MY marathon. Wheee!